*Warranty currently offered for residential applications only and is subject to application and eligibility criteria. Commercial warranties may be available on application. For full terms and conditions and to determine the eligibility of your building for a warranty visit warranties.bluescopesteel.com.au or call BlueScope on 1800 800 789. Warranties provided by BlueScope do not affect consumer rights under the Australian Consumer Law. If you’re looking for brochures or more information about TRUECORE® steel, then you're in the right place! Is a light gauge steel frame made from TRUECORE® steel durable? Yes, it is. TRUECORE® steel with Activate® technology incorporates a thoroughly tested protective aluminium/zinc/magnesium alloy coating. Our patented Activate® coating technology is an important component of BlueScope products installed across a range of environments and building applications. Where there are cut edges from drilling or cutting operations, the galvanic action of the coating protects the exposed steel edge against corrosion. Does TRUECORE® steel comply to the relevant Australian Standards? 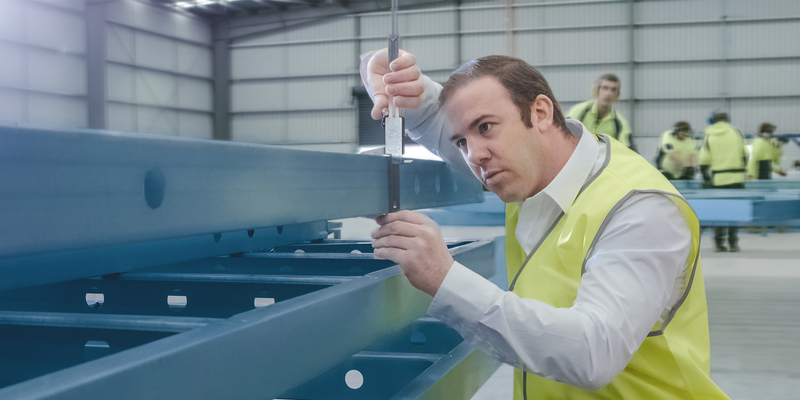 BlueScope Steel manufactures TRUECORE® steel to all the relevant Australian Standards (AS1397:2011 and AS/NZS 1365:1996) for thickness, width, mechanical properties and coating mass. TRUECORE® steel is easily identifiable through product branding and the distinctive blue coating. What warranty is available on TRUECORE® steel? TRUECORE® steel is backed by a reassuring 50-year warranty from BlueScope. The warranty is offered to eligible applicants for residential applications and is subject to terms and conditions. For full terms and conditions and to determine eligibility please visit warranties.bluescopesteel.com.au/ or call BlueScope on 1800 800 789. In addition, consumers have rights under Australian Consumer Law which cannot be excluded, modified or restricted and the warranties offered by BlueScope do not affect those rights. What support can I expect from BlueScope? If I use a steel frame how much flexibility do I have with design? Steel frame manufacturers and fabricators can produce almost any one or two storey home design seen in Australia today and recently steel frames have been used in some three and four storey designs. Because house frames made from TRUECORE® steel have a high strength-to-weight ratio and stay straight and true, they’re an ideal choice for modern home design. Long spans, open plan living spaces, architectural rooflines; they’re all possible with the inner strength of TRUECORE® steel. And frames made from TRUECORE® steel are suitable for both flat and sloping blocks. Have steel framed buildings been proven over time? Steel framing has been successfully used in housing since the early 1950’s and in recent years has gained in popularity. There are well-known and reputable builders in Australia who recognise the benefits of TRUECORE® steel and building steel framed houses. 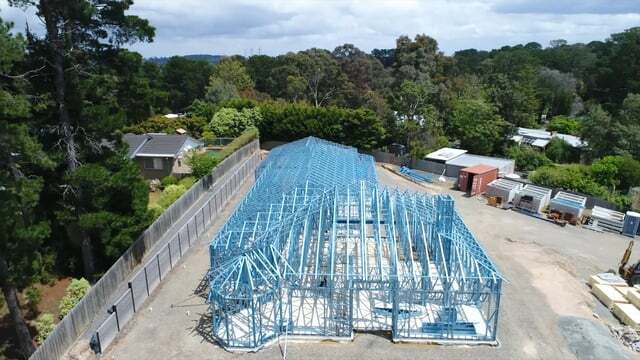 Can steel frames be used for building in a bushfire zone? Yes. When used as part of the NASH bushfire standard, frames made from TRUECORE® steel provide simple design solutions to achieve compliance when building, even in a flame zone. For further information please refer to the National Association of Steel-Framed Housing’s Standard ‘Steel Frames Construction in Bushfire Areas’ or visit www.nash.asn.au/nash/safety-and-security/bushfires. We also recommend you speak with your builder about the suitability of steel framing for your particular build. Why is termite proof an important advantage? As anyone who’s had to deal with termites would probably tell you, it’s worth doing everything you can to stop them, right from the start. Termites and borers are a problem in Australia and damage to a house frame by these pests can be silent and invisible to the eye. Rectification may involve replacement of the damaged frame and other building components and the damage is often/may not be covered in standard insurance policies. Frames made from TRUECORE® steel are termite proof and qualify as a termite resistant material under The National Construction Code. Regular termite inspections are recommended to check the other building components in your home. Is there initial or ongoing movement of steel frames? There will be no initial shrinkage or swelling of a frame made from TRUECORE® steel as there is no absorption or drying of moisture in steel frames. Steel framing in a properly constructed and insulated home expands and contracts in response to temperature changes at rates reasonably similar to those of other building materials. And steel frames won’t shrink, twist or warp over time so there’s less chance of sticking doors and window jambs, nail pops and wavy roof lines due to frame movement. Should copper pipes be isolated from a steel frame? Yes, these materials should be isolated because in the presence of water these materials will develop galvanic cells which will result in rapid destruction of the protective metal coating of the steel frame. Copper pipes are easily isolated from the frame by using nylon grommets or face fixed to the studs using plastic clips. Both of these systems also resist water hammer noise. Does steel framing combined with external cladding provide greater internal wall space? Compared to double-brick construction, floorspace gains can be achieved when using frames made from TRUECORE® steel combined with external cladding construction. Over a typical home design (slab area = 221m2) this may equate to three square metres which could mean more living space or additional storage. Yes, steel frames can accommodate a range of facades including brick, veneer, fibre cement and timber. Cladding solutions can be fixed directly to steel framing. How do I order bulk copies of literature? Bulk literature can be ordered by contacting us on 1800 738 576. Read about the latest news and events from TRUECORE® steel. TRUECORE®, COLORBOND®, Activate®, BlueScope and the BlueScope brand mark are registered trademarks of BlueScope Steel Limited. © 2019 BlueScope Steel Limited. All rights reserved.